The Sir Robert Ogden Macmillan Cancer Centre at Harrogate District Hospital is marking its fifth anniversary since it first opened its doors to patients. 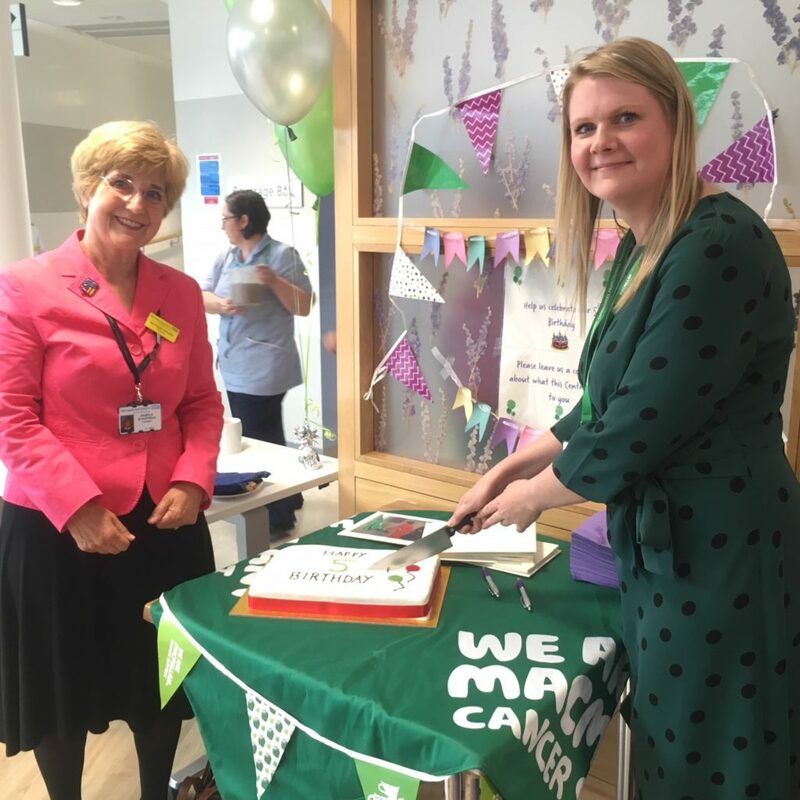 Staff, along with current and former patients and representatives from organisations including Macmillan, joined together to mark the occasion with a ceremony and tea party at the Centre – which has been providing first class cancer care to patients across the Harrogate district since 2014. The £8 million Sir Robert Ogden Macmillan Centre opened in March 2014, and was funded by Sir Robert Ogden, Macmillan Cancer Support and Harrogate and District NHS Foundation Trust. Building work started on the Centre in autumn 2012 on the grounds of a car park on the Harrogate District Hospital site. As part of the Sir Robert Ogden Macmillan Centre’s build, a multi-story car park was also built on the Harrogate District Hospital site. In February 2016, the Centre was visited by The Prince of Wales and Duchess of Cornwall, Patrons of Macmillan, on a visit to Harrogate. They met and chatted with patients and staff and were given a tour of the Centre. Due to the nature of the care the Centre provides, it receives regular gestures of goodwill and words of thanks from those who have visited as a patient or a family and friend. This highlights the high standard of care provided by the Centre’s staff. A commemorative book will be in place in the Centre’s Foyer throughout 2019 for members of the public to sign with any memories or stories they have of the Centre during its first five years. Pictured: Angela Schofield, Chairman of Harrogate and District NHS Foundation Trust (left) cutting a cake to mark the first five years of the Centre with Clara White, Head of Regional Fundraising, Macmillan Cancer Support (right). Notes to editors: The Sir Robert Ogden Macmillan Centre (SROMC) provides high quality cancer treatments and health and wellbeing services. It offers support for people affected by a cancer diagnosis in the Harrogate and rural district community, as well as some patients from the north Leeds area.